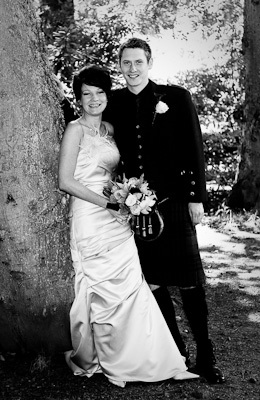 Black Isle Photography is based in the Highlands near Inverness and I will happily travel all over the Highlands and the rest of Scotland to cover weddings, renewal of vows and civil partnership ceremonies. I will provide you with a beautiful collection of natural wedding photographs that capture the spirit your special wedding day. I will take all the group and traditional photographs that you want but will also take the natural and informal pictures that make your day unique. I have a friendly relaxed yet professional approach to taking wedding photographs but never forget that it is your day not the photographers! Please take a look at my wedding galleries to see examples of my work and contact me if you have any questions or would like to check my availablity.